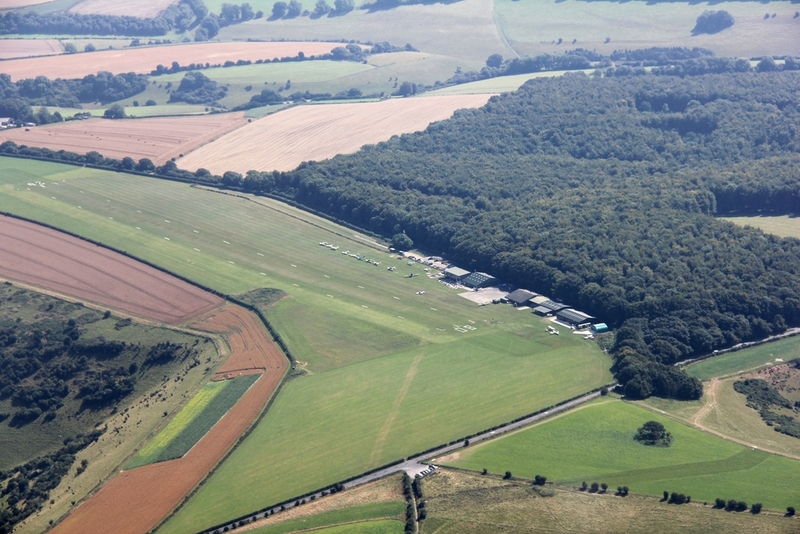 Compton Abbas airfield. 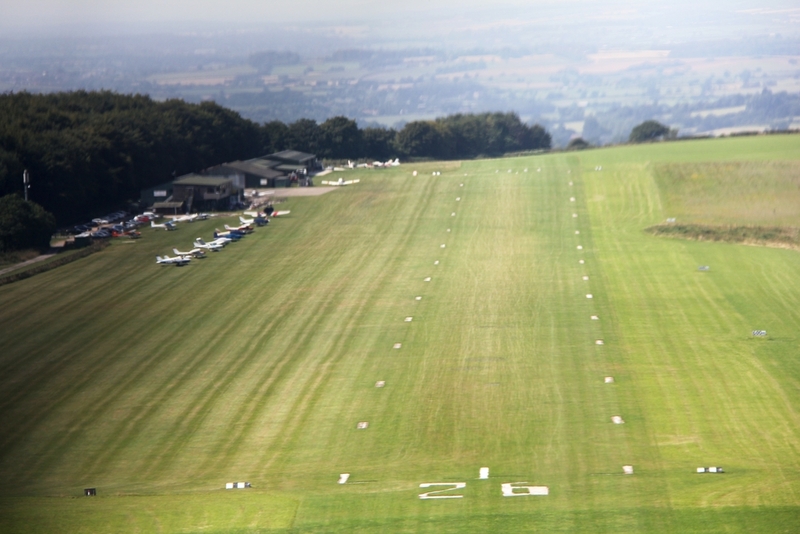 You can see the runway marked out on the grass, a row of parked aircraft, and just make out the restaurant's outside seating area. 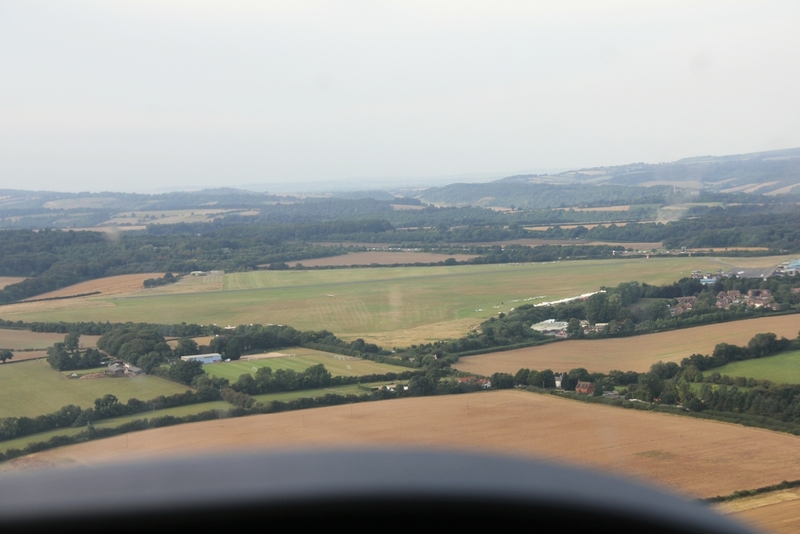 Coming in to land at Compton Abbas airfield. 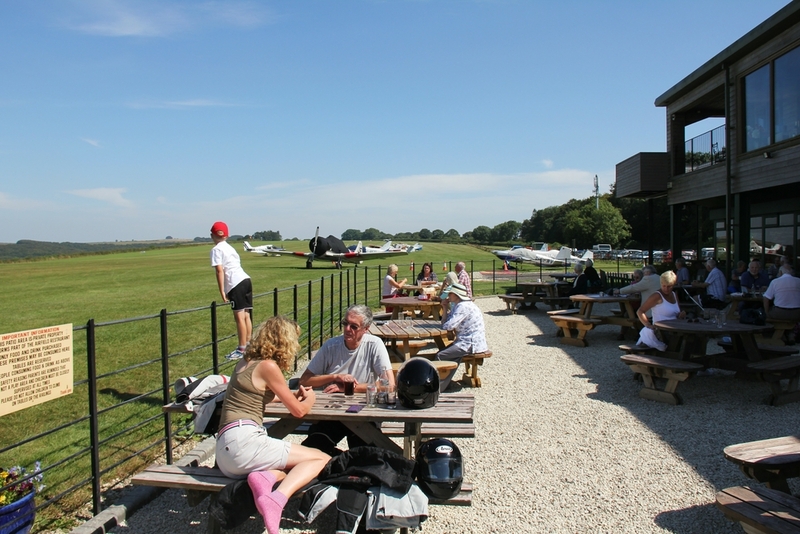 The cafe/restaurant area at Compton Abbas airfield. 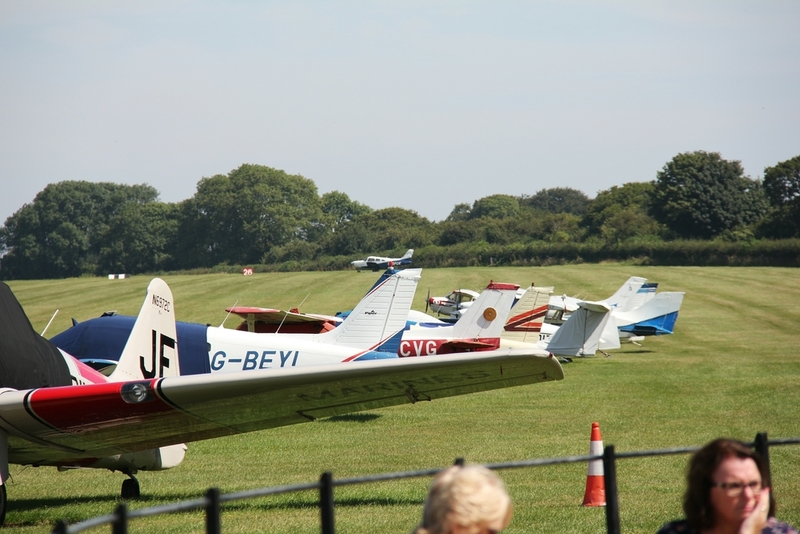 Aircraft parked on the grass at Compton Abbas airfield. 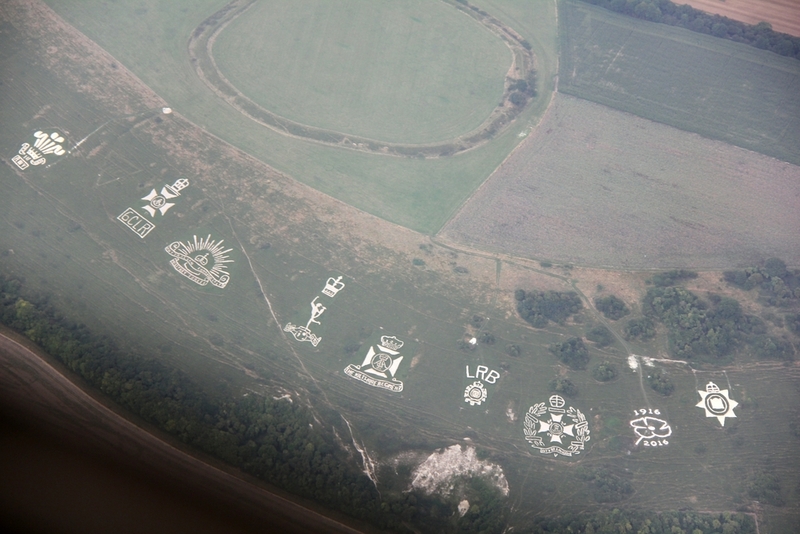 Regimental badges cut into the chalk hillside near Compton Chamberlayne, Wilts. 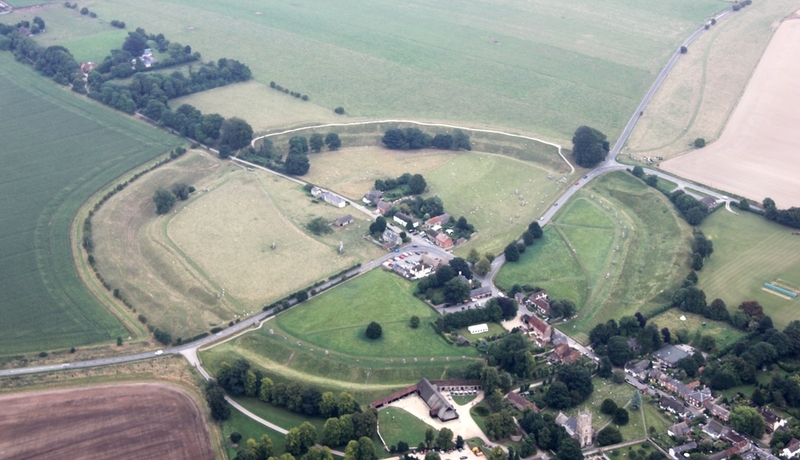 Avebury and the Avebury Ring - you can just make out the standing stones on the perimeter of the circular earthwork. 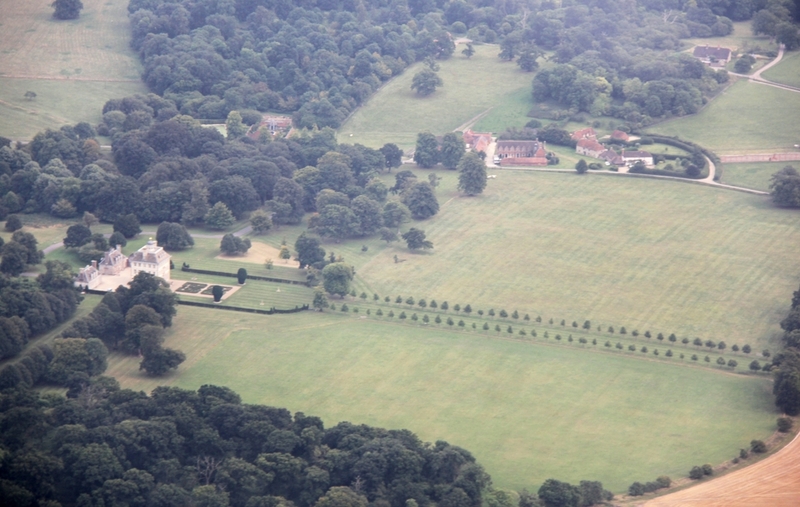 Some posh houses can be seen from just a couple of thousand feet up. 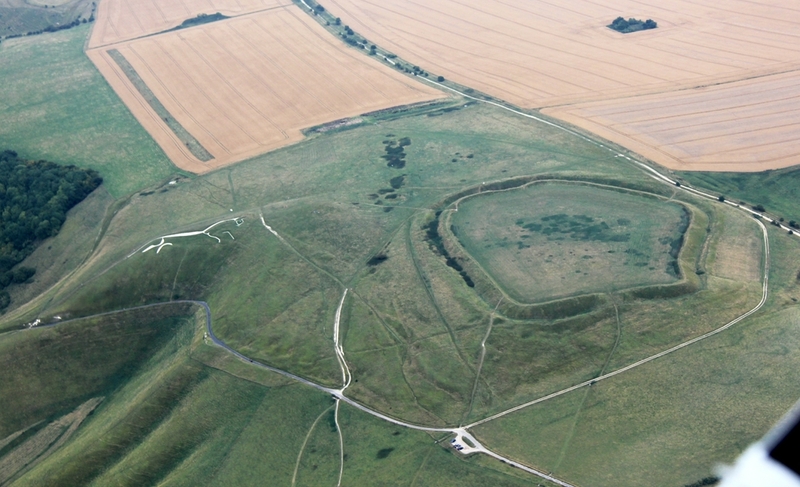 Uffington Castle and White Horse. 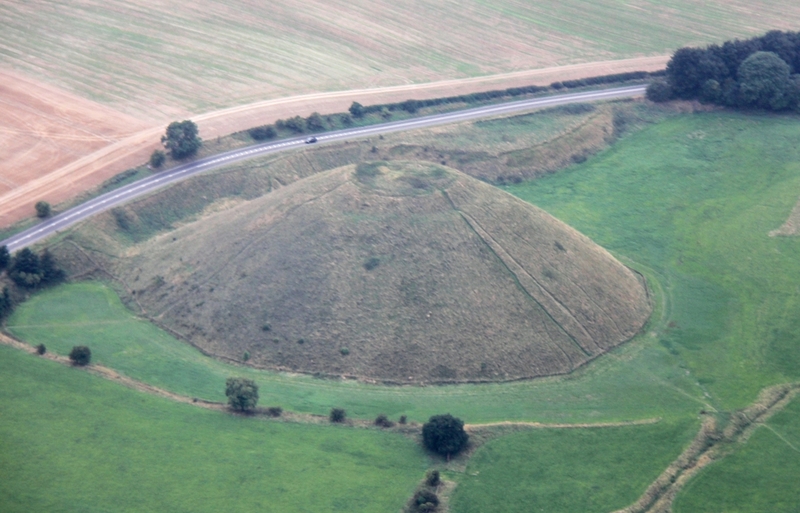 Now on the way home. 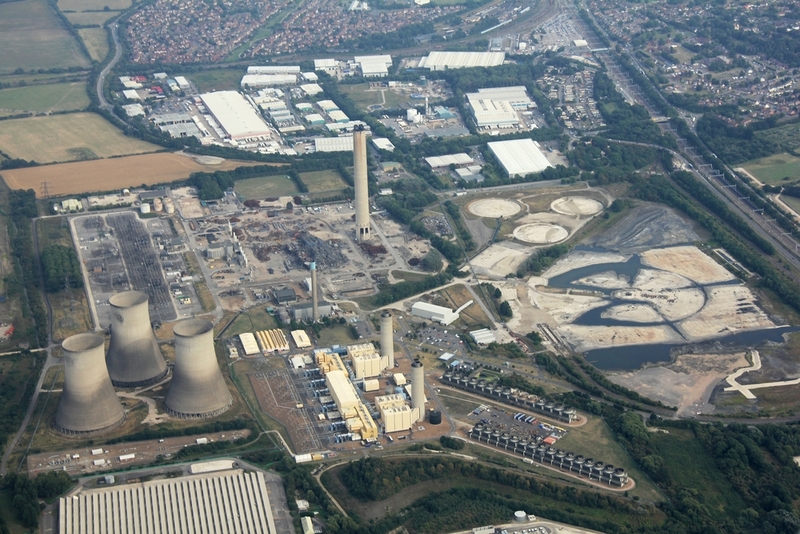 Didcot Power Station - much of it has been demolished. 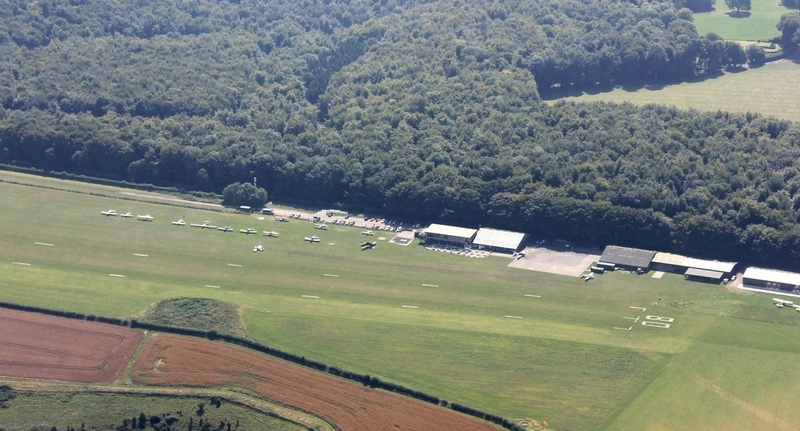 Booker Airfield (aka Wycombe Air Park) is the green field just above centre. 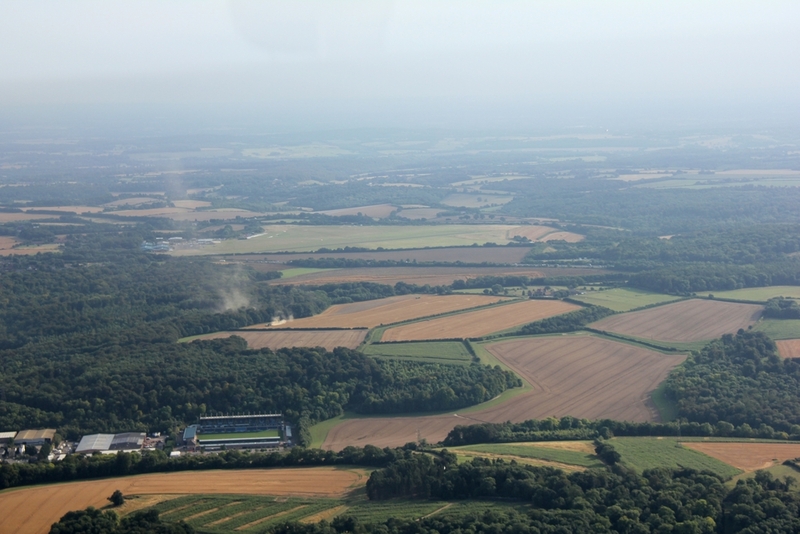 The "smoke" rising up from the trees is actually dust from a combine harvester in the field. 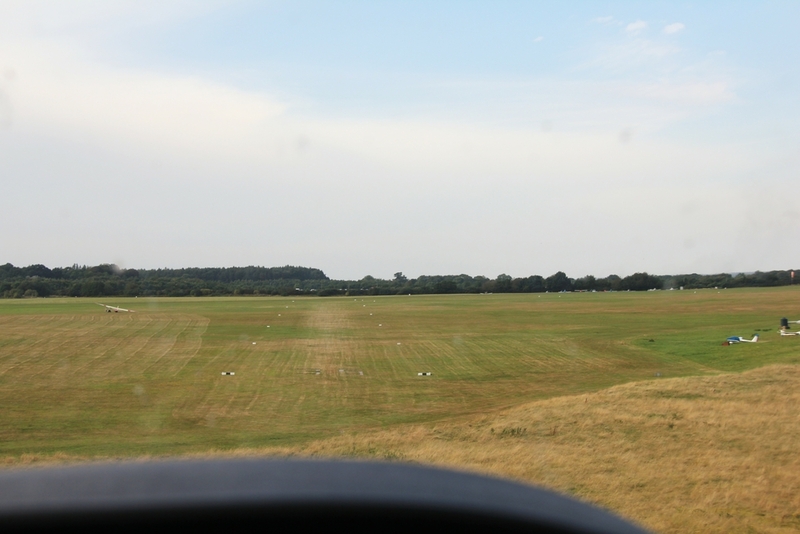 Coming in to land on the grass strip at Booker. 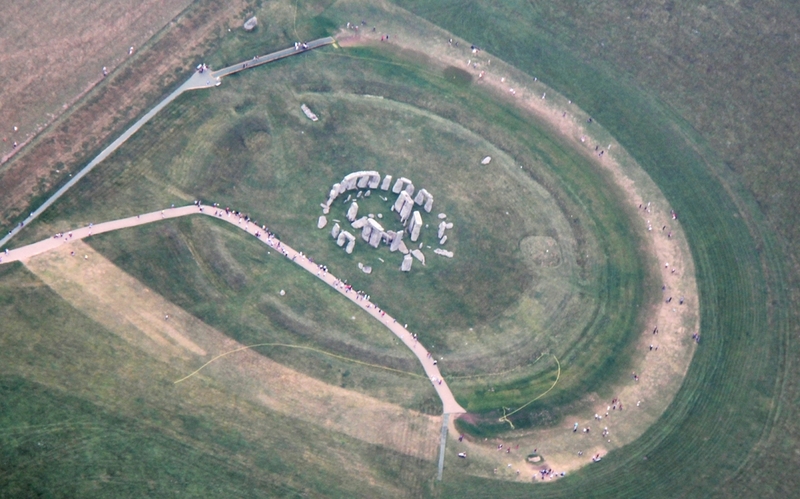 Back to Southern England Flight 2016.